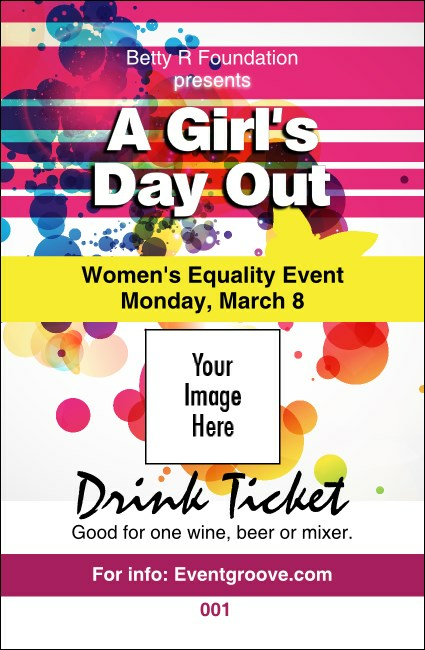 Help your guests celebrate the best of their femininity when you print Women’s Expo Abstract Drink Tickets for your next female-centered event. With a pretty pink and white stripped background and an edgy, modern design, along with room to upload your own image, these tickets will help you organize your event like a queen! Find a classy design at TicketPrinting.com.